I think I can identify most of the persons in the picture. The woman sitting in the centre is Queen Maria of Bavaria. At her right side stands her husband King Maximilian II of Bavaria and next to him his father the abdicated King Ludwig I. The man at Ludwigs right side is probably his brother Prince Karl. The beautiful young woman next to Karl is Empress Elisabeth of Austria (Sissi). The older woman sitting in front of her is her mother Duchess Ludowika in Bavaria (the half-sister of King Ludwig I). All other persons at the right side of the picture are siblings of Sissi. The man sitting at the front far right is her father Duke Maximilian in Bavaria. At Queen Marias left side stand her sons. The future King Otto I of Bavaria and his older brother Ludwig II of Bavaria. The persons in the left part of the picture probably all belong to the families of the three younger sons of Ludwig I. The woman standing next to Ludwig II is probably the Queen of Greece. (I can' t remember her name) The man next to her is King Otto I of Greece, the second son of Ludwig I. The two boys standing behind Luitpold are his sons. The future Ludwig III (right) and (probably) Leopold. The girl standing far right maybe Luitpolds daughter Therese. The other women and children at the left side of the picture surely belong to the families of Luitpold and Adalbert (Otto I of Greese didn't have children) but I can't tell who is who. Ludwig II seems to about 13 years old in this picture. This would mean it was taken 1858/59. Perhaps this additional information helps you to identify the other persons with the help of a family tree. The beautiful young woman next to Karl is Empress Elisabeth of Austria (Sissi). The older woman sitting in front of her is her mother Duchess Ludowika in Bavaria (the half-sister of King Ludwig I). All other persons at the right side of the picture are siblings of Sissi. I think the girl right next to her is her sister Sophie, Duchess d'Alencon--she had very arresting eyes, larger than her sisters'. Wasn't Otto's wife Queen Amelia or Amalia? Thinking it over it seems to me that I made two mistakes in identifying the persons on the picture. First I mixed up the two elder sons of Luitpold. The future Ludwig III is left, his brother Leopold, who married the elder daughter of Sissi is right. Second I said that all people on the left side of the foto where members of the families of the three younger sons of Ludwig I. But one of the women there has to be his youngest daughter Alexandra. I'm not sure but I think it's the woman in the black dress sitting on Luitpolds left side. I thought the one man might be Karl Theodor but wasn't sure--was he the one who was the father of Elizabeth of Belgium and Crown Princess Rupprecht of Bavaria? Karl Theodor was the father of Elisabeth of Belgium and Princess Gabriele who married Crown Prince Ruppert. His father was Ludwig III. Thanks--I thought so but wasn't sure as I'm not that knowledgable on the Wittelsbachs. I'm a big Elizabeth of Belgium fan though. Wasn't her father trained in medicine--perhaps optometry? I think you are right as far as Auguste is concerned. I thought she was already dead in 1858/59 but I found out she died 1864. I believed that Alexandra must be in the picture because she remained unmarried. And at this time her mental state could not have been so worse, that she must kept hidden from public totally, because in 1858 she published her book "Weihnachtsrosen"
Great picture Amadeo ! I had never seen it before, where did you find it ? Prince Luitpold and family (his wife Augusta of Tuscany sitting on his left and children Ludwig III, Leopold, Therese and Arnulph), princess Alexandra, prince Adalbert with his spanish-born wife Amelia sitting in front of him and some of their children (probably the 2 eldest Ludwig-Ferdinand and Alphons), then come King Otto of Greece and his wife Amalie von Oldenburg, then Ludwig II, his brother Otto and their parents Queen Marie and King Max, Ludwig I, prince Karl, duke Max and family as identified above. 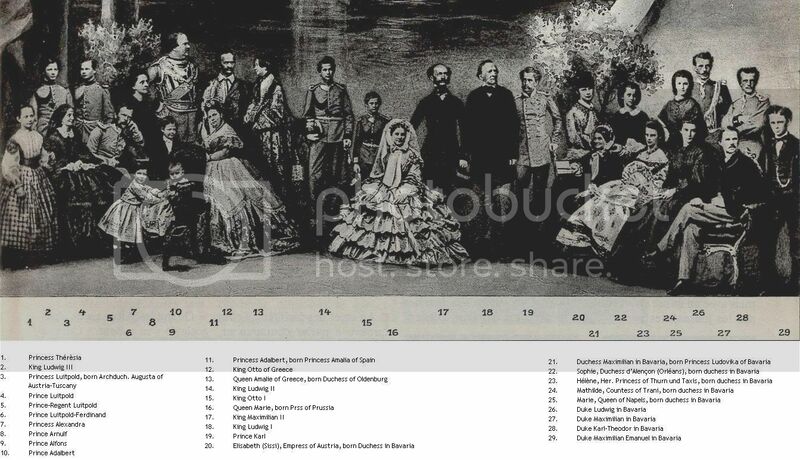 According to me, it is Marie sitting between Helene and their father and Mathilde standing between Sophie and Ludwig. They looked alike only Marie was prettier and her hair much darker. King Ludwig I's 3 eldest and married daughters, Mathilde (GD of Hesse), Aldegunde of Modena and Hildegard (archduchess of Austria) are not present on the picture. - Amalie (1865-1912) married to duke Wilhelm of Urach (a morganatic branch of the house of WÜrtemberg). - Sophie (1875-1957) married to Hans-Veit von Toerring-Jettenbach (their eldest son Karl-Theodor was married to princess Elisabeth of Greece, Marina of Kent's elder sister). - Elisabeth (1876-1965), Queen of Belgium. - Marie-Gabrielle (1878-1912) married to Kronprinz Rupprecht of Bavaria. - Ludwig-Wilhelm (1884-1968) married to Eleonore of Sayn-Wittgenstein-Berleburg. no issue. Thomas, check the Sissi thread, I posted the url to the duchess of Alençon website mentionned by Mischa. As far as the pictures you posted are concerned, the 1st one is Marie all right but I am almost positively sure that the 2nd one is Mathilde, the 3rd one Helene and the 4th one Mathilde again. I found this portrait.It is said to be Princess Amelie of Bayern,but I don't know which one,because there are so many Amelie or Amalie in or of Bayern,so if you could help me to sovle this mystery to me...thank you! Puh, the identification could be a problem, Marc. 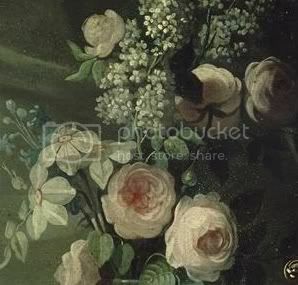 - Amalie (1790-1794), daughter of Max I. 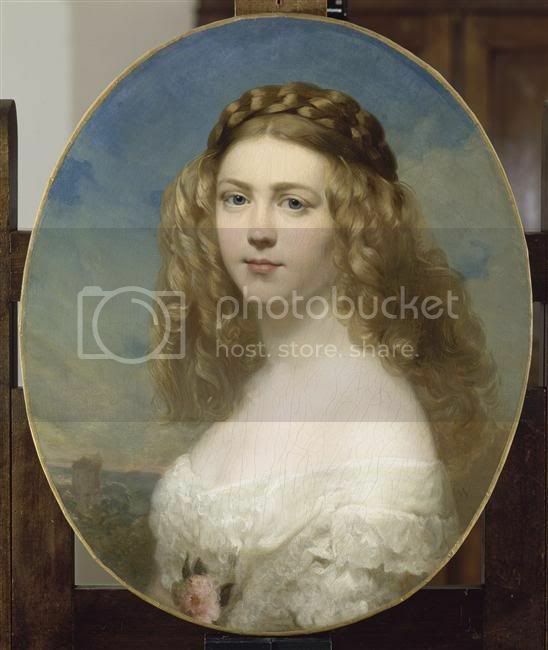 - Amalie Auguste (1801-1877), daughter of Max I.
Amalie (1790-1794), daughter of Max I. : No. so I think she was the Princess Adalbert, Amelie of Spain(1834-1905). Well,it seems that is the only solution!Thank you! She could be, but I think she wasn't that blonde... and she was much fatter, but it's certainly very possible!